For those who haven’t seen it, it’s an American fairy tale drama that takes place in the fictional town of Storybrooke, Maine, where the residents are actually fairy tale characters. It sounds odd, but it’s currently the #1 non-sports show on Sunday nights. Update: interestingly enough, it looks like Apple changed the free download item mid-day. It now shows the game Tiny Thief here in the US. Get it while you can! Again, the free episode will only be available for 24 hours, then Apple will replace it with something else. It’s also worth noting that this is different for almost every region, so you may see something different (we know some are seeing the Tiny Wings game). 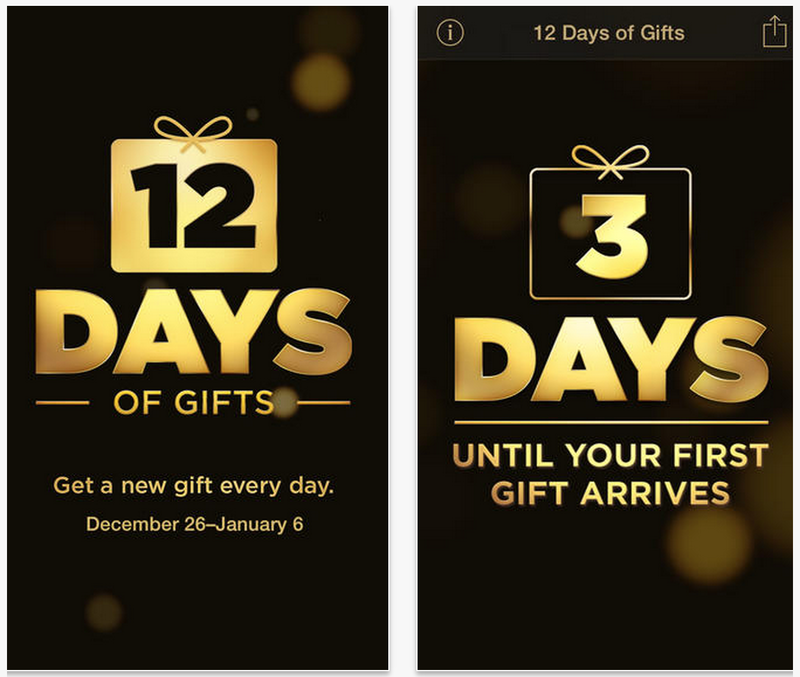 Folks in European countries have become accustomed to Apple’s yearly gift-giving ritual, but it’s never been available to those of us here in the United Sates until now. 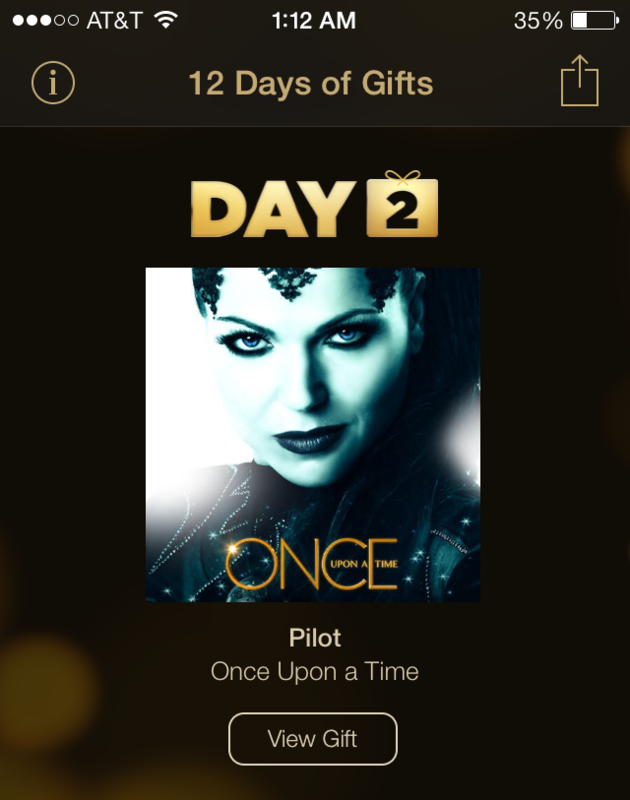 If you want to check it out, you can find the 12 Days of Gifts app in the App Store for free.